To many people, the 1970s were a decade of intense ambivalence - endless strikes, with rubbish piled high in Leicester Square, the three-day week resulting from the miners' dispute with the Tory government, as well as sky-high inflation. 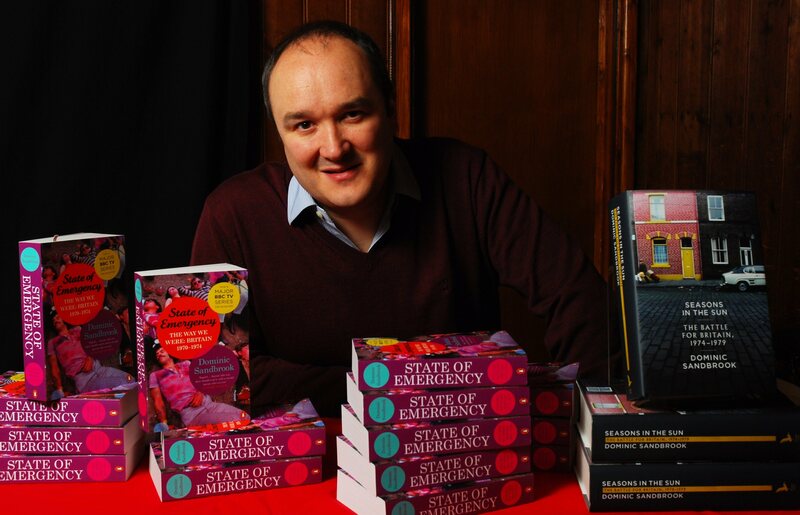 On the other hand, Dominic Sandbrook pointed out in his fascinating talk on November 2nd that the decade had a distinct cultural identity resulting from the emergence of iconic music, fashion and theatre, in addition to classic television comedy shows, such as Rising Damp, Porridge and Steptoe and Son, which were so strong that they are still shown today. The decade certainly had drab aspects to it and on occasions during Dominic's talk, it was hard to recall fondly the days of the Wilson-Callaghan governments or, indeed, Ted Heath's with the restrictions in the use of electricity - when the opening hours of stores were restricted and television stopped at ten in the evening. And yet, there is an element of black comedy about those days - with Jim Callaghan even once suggesting that people should emigrate. Harold Wilson became so paranoid (not helped by liberal sprinklings of brandy, of which the public was never aware) that he was convinced he was being bugged and sometimes only spoke to ministers in the toilet with the taps running. And still not quite explained to this day, he was almost always under the sway of Marcia Williams, his Svengali political secretary. Dominic was equally scathing about all political parties and pointed out that the emergence of Margaret Thatcher in 1975 as party leader was hardly an optimistic event at the time, with Lord Carrington telling friends she would be gone by Christmas. Of course, as Dominic pointed out, she seized the day after the mayhem of the Labour years and - like her or loathe her - she had a clear vision, which others had lacked. Ironically, it was the unions which had helped Mrs Thatcher into power with their constant industrial action - and Denis Healey said that their actions left them with no grounds for complaint over her subsequent actions against them. Glam-rock emerged as an antidote to all the misery, with Slade's Merry Christmas (still played every year) ending with the line: "Look to the future, it's only just begun". But it was a short time before the endless disillusion led to the emergence of punk-rock, initially dubbed "dole queue rock," which is now seen as culturally important. And, although it is hard to believe, the ground-breaking David Bowie with his androgynous creation, Ziggy Stardust, even proclaimed fascism as an antidote to the troubled times - but he retracted the sentiments in later years. Ultimately. 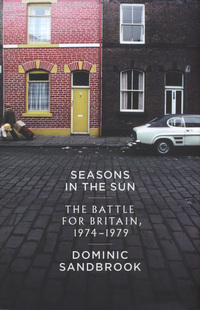 Dominic pointed out that it was in the 1970s that people first explored cheap adventurous foreign travel and property was affordable, with sitcoms like The Good Life highlighting middle-class aspiration and showing ideas of self-sufficiency and environmental awareness entering the mainstream. But he added that, whilst life is tough economically at the moment, the situation was much worse in the 1970s when the government went with a begging-bowl to the International Monetary Fund, prompting severe cuts in public spending - and at least, these days, the dead are buried properly and there aren't piles of rubbish on every street corner.